We ended the term with a trip to Dalmeny Kirk, combining classes and tunes with a great location. I will be processing and sharing the music presently, but in the mean time our thanks go to the Minister David Cameron and to Kirk Elder Ian Slee for looking after us so well with great patience and providing us with a bonus tea and cakes afterwards. Very welcome on a cold bright December day! Dalmeny Kirk is a truly inspiring location — intimate and very atmospheric. Being almost 900 years old, it is packed with history and I have to confess that after living in Edinburgh for almost 25 years it was my first visit. Definitely worth making the trip and hopefully we’ll be back again. Watch out for their concert series too. A great space for traditional and other music. Looking ahead to January and the term ahead, I have updated the FluteFling diary and Paypal forms to allow booking. Due to family and other commitments this term will be slightly shorter, with just 4 classes each for FluteFling Beginners and Improvers. I will try and plan a trip again, but in the middle of the term this time perhaps, so that those who couldn’t make last time might have a chance to attend. Changes in personal circumstances have meant that a couple of Beginner students have had to drop out for the time being, so if you know of anyone interested in joining, please do pass it on as it helps the classes to keep going. SMG classes can be booked in the usual manner from the Scots Music Group website. Looking further ahead, I am working towards putting on a traditional flute and whistle workshop as part of TradFest Edinburgh in late April/ early May and hopefully one other similar event later in the year. More details as they become clear. Have a great break everyone and I look forward to seeing you all again in 2013. 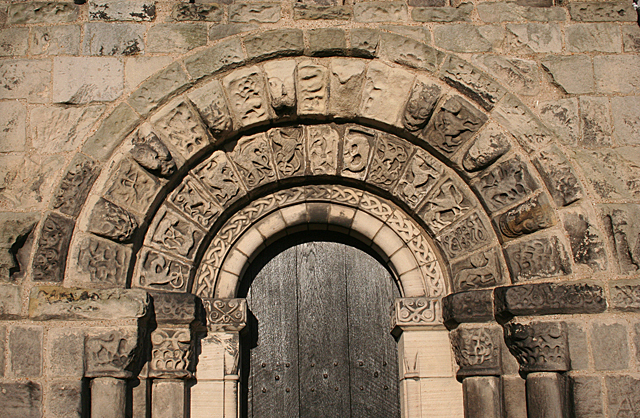 Photo of the main door of Dalmeny Kirk by Anne Burgess via Geograph.org (site has an explanation of the carvings). Creative Commons licence. This entry was posted in classes, Community, FluteFling, Scots Music Group and tagged beginner, classes, community, flute, improver, portobello, Scots Music Group, tin whistle, traditional music. Bookmark the permalink.